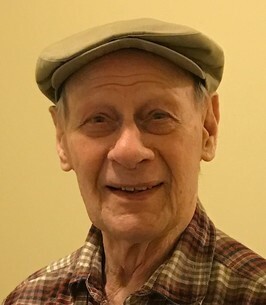 John Daniel Anglin, 92, of Independence, passed away on Thursday, October 11, 2018. A visitation will be held Tuesday, Oct. 16th from 5-7pm with a service on Wednesday, Oct. 17th at 10:00am, both at Speaks Suburban Chapel, 18020 E. 39th St., Independence, MO 64055. Interment will follow at Mount Washington Cemetery. John was born September 9, 1926, to Verle and Anna (Zwarka) Anglin in Los Angeles, CA. He proudly served in the US Navy after high school and married Anne Ellington in April of 1956. John worked for Amoco Oil Refinery in Sugar Creek for over 30 years. While in the Navy, his love of flying began, and he continued to pilot airplanes as a passionate hobby. He also volunteered in many service projects and was a part of the men’s group as a member of First Baptist Church of Independence. John is preceded in death by his parents. He is survived by his beloved wife of 62 years, Anne; his daughters, Laura Goudelock of Independence and Leslie Glentzer (Stephan) of Overland Park, KS; as well as, his granddaughter, Taylor Goudelock of Independence. To plant a tree in memory of John Daniel Anglin, please visit our Heartfelt Sympathies Store.